Based on the current flock of mandarins, North Korean (Nork) missiles can reach Hawaii and maybe as far inland as Chicago. There is no comment on whether or not they could actually 'hit' Hawaii (or Illinois). Notwithstanding, the State of Hawaii issued an official advisory that people there should prepare for a nuclear attack from NorkLand. Also omitted is the range issue with a nuclear weapons payload vs an empty ICBM. There is a difference. Kim Jong Un says "hi". 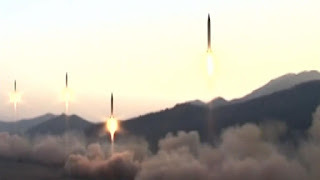 However, the Norks are making progress with the new People's missile and if given sufficient time and resources, purchased with Chinese money (for coal), they will be able to develop a targeted weapon that could at least get in the general vicinity of a city in North America with a nuclear payload. The US and Japan are talking about what to do as are the South Koreans, who are concerned what will happen to Seoul if the US decides that Kim Jong Un's country needs to be turned into a sea of radioactive glass. They're buying THAADs in the hope that they can restrict the damage to rocket and cannon artillery. China's reaction to launches is consistent. China is much more concerned about THAAD than about the North Korean missile program. The North Korean program serves Chinese strategic interests. The THAAD commitment cements the US-South Korean relationship more firmly than ever. That is more threatening to China than North Korea’s weapons of mass destruction programs. China is misreading the signals. There is a clear and present threat to the US. 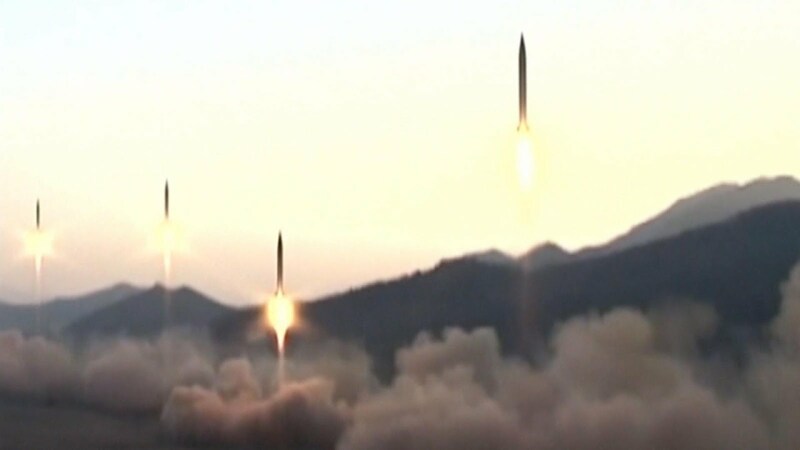 The North Koreans have stated their intentions to use nuclear weapons to conduct a preemptive attack on the United States as soon as they can get a missile warhead that will fly that far. President Trump is not the feckless Barack Hussein Obama and he takes that just as seriously as a heart attack. I expect to see kinetic war in North Korea during the course of the Trump Administration. Some things to keep in mind: A Korean War is a winter war scenario. Anyone who has studied the matter knows this. A lot of access for ground troops and heavy equipment (tanks) requires that the ground be frozen. North Korea is more mountainous than South Korea and anyone who has climbed over those mountains knows that they're steep - and the valleys are all under irrigation and cultivation (flooded for rice). It's easier for tanks to get around in the winter. SEAL Team Five was the designated cold weather team for the Pacific (which is why Team Five deployed to the desert in Operation Desert Storm...), for example and it has trained in the past with the ROK SEALs (Squadron 56) for joint winter operations. I don't know if that's still the case. I've been gone for a while. I use this as an example of the likely timing of a war scenario absent some sort of Nork action that provokes an attack outside of the US preferred operational environment. We fight best in Korea in the winter and at night.